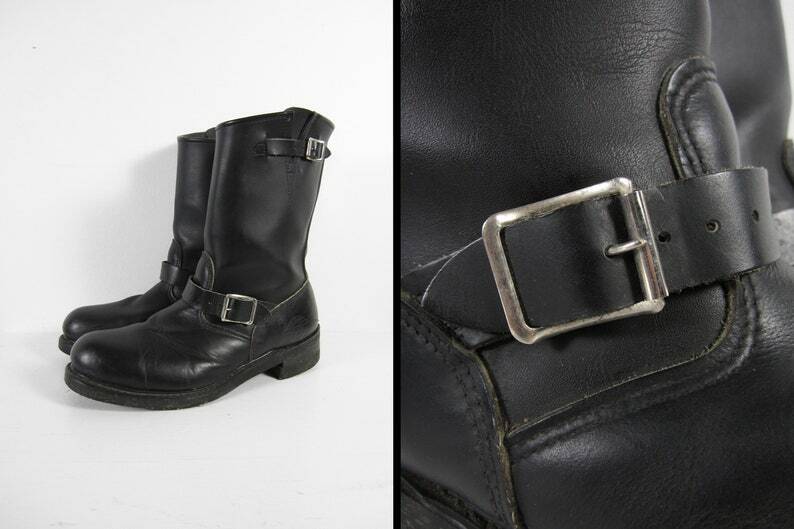 These engineer boots are in great condition and were made in the USA. Features include steel chrome buckles, cord soles, and steel toes. There are a few scuffs and nicks at the toes and a bit of heel / sole wear. These boots are labeled as a men's size 10 1/2 but please compare the measurements below to your favorite boots before purchasing.